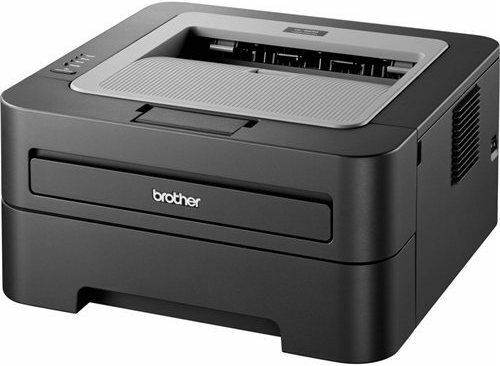 Several months ago we bought these little Brother compact laser printers to put in people’s cubicles to replace their aging HP 4000’s and whatever other antiquated printers they had. I’ve always had good luck with Brother equipment and in fact own a 2070N which I have put to good use over the years. They’re reliable, fairly fast, and super easy to work with. Well for the past day or two we’ve had a couple that showed some serious drawbacks to buying one. See we get refurbished cartridges from a third-party vendor, and as much as I love saving money I’m totally against buying refurbished printer cartridges. Sure, I know they are ripping people off. Sure I know it’s just for the money. But see, if they sell you a good printer for $60, they have to make their money some how, and one of those ways is to use proprietary printer cartridges. Some people will really disagree here, but it’s really not that big a thing to ask that you buy the supplies from the manufacturer if they are willing to sell you a discount printer. For business critical printing tasks, I think this is the best policy. Buy new, send the old cartridges back to the manufacturer and save them the cost of fabricating new ones each time. So these printers have a clever little toner sensor in their cartridges that are apparently super easy to break when refurbishing them incorrectly (read: by third-party toner refilling companies). I think this is on purpose to convince you to buy new cartridges. What happens with these busted sensors is that the printer thinks the cartridge is empty and refuses to print. Put a brand new cartridge in, and it works like magic. Now sometimes new cartridges break in shipment or just malfunction so Brother kindly put a toner bypass function in just for this occasion. Toner Sensor Bypass For Brother HL-2240 Printers (and probably a lot of other models too). Step 1 – Make sure the printer is on and the cartridge is in properly. Step 2 – Press the “Go” Button seven times. The printer will go through a startup routine and you’ll see the ready light come in. The toner light will probably still stay on, just ignore it. The printer should now print until it totally runs out of toner. Variation 1: Turn the printer off, and then back on then hit the Go button seven times after it comes back up fully (don’t try to print anything yet). This seems to be what works the best. Variation 2: Turn the printer off, hit the Go button seven times while it is turning on. Variation 3: Try hitting the Go button ten times instead of seven. There’s a WL model that requires this. There may be a regular networked model that has this method to. Variation 4: Not so much a variation. Hit the button slower and more deliberately. As fast as the “Ah Ah Ah Ah” part in “Staying Alive” is probably about right. The same thing with me and doesn’t work at all. Not sure why it wouldn’t work. It’s possible newer versions now have taken the bypass away. I’ve used this trick on over a dozen of these printers and it works fine with several different vendors of refurbished catridges. It worked exactly as described by the author of this post. MyHL-2240 is about 2-1/2 years old. It worked great for me just now. It worked for me. I assume it may have to do with the firmware version? It’s possible. There is a “WL” version of this printer which is a newer version of the networked 2240 just with a wi-fi card installed. It has a slightly different bypass method. You hit the button ten times instead of seven apparently. It kind of makes me wonder if it so happens that Brother still produces these printers that they’ve changed this slightly, but I kind of doubt it. There’s also a Brother MFP that requires a whole song and dance routine that includes facing north if it’s a Thursday when you do it. Worked perfectly! So much easier than some of the other bypasses on the internet. Thank you!!!! Thanks!!! it worked as a charm!!! I’ve noticed from the comments and feedback I’ve gotten since I posted this article that some have to do the bypass slowly and others have to really punch the button fast. The ones I have experience with mostly need it to be done really quickly. There is one that was bought about a year later that needs it done slowly, and I have no idea which one it is until it doesn’t work. There’s also a version with a wireless card installed where you have to hit the button ten times. I have thought about updating the article but since I have no idea if this is a hardware version difference, some kind of firmware update that’s happened, or possibly the actual cartridges or drums themselves I just hope everyone reads the comments.